Following the 48th Annual International Conference of Horseracing Authorities held on Monday at the Jockey Club in Paris, Louis Romanet, IFHA Chairman and Juan Carlos Capelli, Longines' Vice President and Head of International Marketing, presented the second "Longines and IFHA International Award of Merit" to Alec Head. 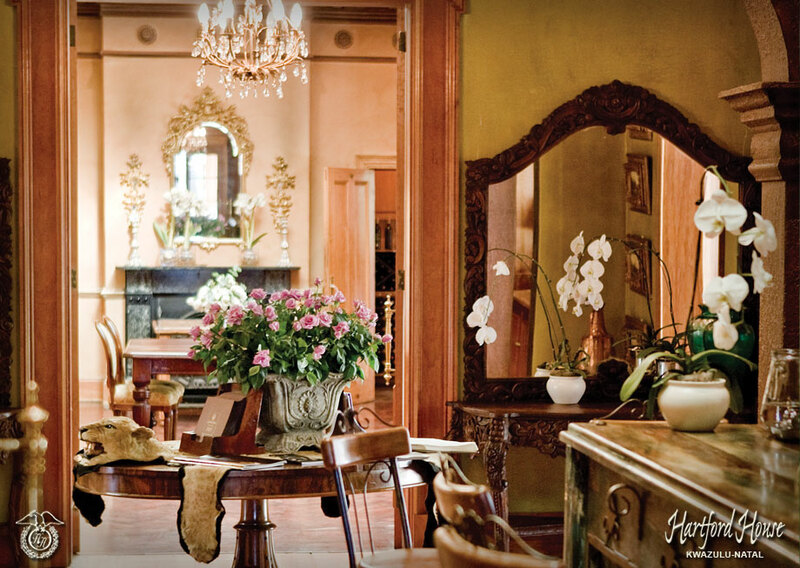 If you’ve been listening to East Coast Radio in the past couple of days, you’ll have heard the name Hartford House many times for its distinction as the only KZN-based restaurant among Eat Out’s national Top Ten. A few weeks before, chef Jackie Cameron’s team were among the chosen few at the American Express Fine Dining awards for the 7th consecutive year, and within a blink of time, they earned themselves another Diner’s Club Diamond Award for one of the country’s best wine lists. We know they’ve been making headlines for a couple of years now, but the Hartford team takes nothing for granted, and the same goes for “big brother,” Summerhill Stud. It seems that team has been on the podium for months too, with an eighth consecutive National Breeder’s Championship, another statuette at the Highveld Racing Awards, and a string of distinctions at both the KZN Breeders and the KZN Racing “Nights of the Stars”. That’s an awful lot of dinners, if you happen to have a foot in both camps! The latest one is as significant as any of them, and came our way last Sunday evening when the “Cameron Girl” winged her way once again to the Mother City to represent us at the Top 100Wine List Challenge for 2013. Remarkably (or perhaps not so remarkably for those of us who know how much work went into it,) in the Relaxed Dining category, Hartford’s wine list came out Number One, the only one marked “Inspirational”. Selecting wines may sound appealing to those of us who make the odd visit to a cellar on a Saturday morning for a bit of a “jolly”, but this team puts in hours of labour, interviewing wine-makers, tasting and pairing, and in the end establishing a criteria that knows no exceptions. Good food, good wine and good company are the irredeemable passports to a memorable meal, but you’ll never know what we mean until you’ve “done” us yourself. Yes, Hartford is all of these things, but it also represents the only venue of its kind in the nation. Visit www.hartford.co.za, and see what we mean. Summerhill is proud to announce that we have been selected as a finalist for the global 2012 PagePlay Equestrian Social Media Awards, Category 30: FEI Group IX - Central and Southern Africa! Nominations for the 2012 Equestrian Social Media Awards opened for 9 days in the run up to Christmas Eve with 2,629 individuals submitting 8,137 nominations via the Equestrian Social Media Awards Facebook App. Thank you to everyone who nominated Summerhill and please follow the link below to the Equestrian Social Media Awards website and vote for us!! Voting closes midday (GMT) on 10 February 2012.
http://www.equestriansocialmediaawards.com/voting - scroll down to the final Category (30) and select Summerhill Stud. There are also a lot of great finalists in the other categories that you can vote for too, so enjoy and Thank you for your vote. Whatever you do in life, you need a point of differentiation in order to separate yourself from the masses. In the retail trade, they call it the unique selling point. Without the cash to pick whatever we needed in order to cash in on the best genetics, we had to find things we could be better at, so that we could find the small increments that took us to the summit. Whilst they do not rank in any particular order of importance, the first item you should address, is the selection of your team. When we first kicked off at Summerhill, there were but six people on the staff, and they lived in difficult circumstances in what is these days known as “Old Compound”. One of the best pay-offs in our lives, was the decision to pick the best people we could find. That we succeeded was evident at the School Of Excellence last week, where no fewer than six of our staff received their 20 year service awards. Another five got their 10 year “gongs”, and their names should be recited for posterity. Siyabonga Providence Ndlovu, Mthokozisi Sithole, Mondli Mbanjwa, Kgotso Halane, Sbonelo Zuma, Siphamandla Mthabela, Lenos Mondle Ndlovu, Joseph Mhlongo, Khombisile Ndzimande, Themba Zuma and Patricia Mathe received literary awards from their mentor, Anne Kean. Thabani Ndzimande, Delani Mtshali, Richard Hlongwana, Marius Losch, Mesuli Mthembu, Mziwethemba “Dassie” Stuurman, Frederick Makerman and Precious Sibisi were handed First Aid certificates from the school’s head, Heather Morkel. Quite remarkably, the Molefe family chalked up 3 long service awards on the same day. Zap and Tryphina (Mum and Dad) 20 years, daughter Mhle 10 years in the service (front-of-house) team at Hartford House. “Robin Bruss sent me a text message from the Equus Awards to let me know that Gypsy’s Warning got a special award, Sunshine Lover was Broodmare of the Year and Ebony Flyer was runner-up to Igugu for Champion Filly at 3. IGUGU, winner of the Vodacom Durban July and the South African Triple Tiara, has been named South Africa’s Equus Horse of the Year for 2011 at Thursday evening’s Equus Awards gala banquet at Emperors Palace in Gauteng. The Australian-bred daughter of Galileo reeled off eight victories in 10 starts and amassed more than R4million in prizemoney in a three-year-old season that started in August 2010 and culminated in glory in the country’s premier race, the Vodacom Durban July, last month. Owned by Sheikh Mohammed bin Khalifa Al Maktoum of Dubai and Andre and Joyce Macdonald of Johannesburg, the filly was imported into South Africa by Champion Breeders, Summerhill Stud. Igugu was sold for R1 million to the Macdonalds from the Summerhill draft of the 2009 Emperors Palace Ready To Run Sale. Igugu was also awarded the Champion Three-Year-Old Filly and Champion Middle-Distance Horse titles. Ronnie Napier, a past chairman of the National Horseracing Authority of SA, received the Special Achievement Award at the glittering ceremony. The Summerhill team leaves tomorrow morning for the Equus Awards, where Summerhill becomes the first entity in history to line up 7 times consecutively in any category. This will be the first time any farm has strung together 7 Breeders titles in a row since the Birch Bros, a famous conglomerate of families, did so more than 50 years ago. They set the benchmark for the world. Fred Crabbia is nothing, if he’s not one of the best supporters of racing this country’s ever known. Yet his involvement extends well beyond the borders of South Africa, particularly in his association with former South African trainer, Patrick Shaw, in Singapore. On the weekend, he earned his just reward when his world-ranked sprinter, Rocket Man, was voted Singapore’s Horse Of The Year, as well as Champion Sprinter and Champion Four Year Old. After returning from what seemed a career-ending injury, the gelding successfully defended his title in the Lion Cup Sprint, and shared the spoils in the Gr2 Jockey Club Sprint, before narrowly going down to South Africa’s J J The Jet Plane in the Gr1 Cathay Pacific Hong Kong Sprint in December. He also just fell short in the Gr1 Dubai Golden Shaheen at Meydan in March, missing by a half length to the American, Kinsale King. Rocket Man has a second attempt at the Golden Shaheen on Saturday, and has just left his home base for Dubai. When the bettors gathered in the States on the weekend, they were searching for a horse that might beat Zenyatta for the title of Horse Of The Year. Life in the nearby suburbs may be as predictable as the appearance of the yellow school bus at 8am in the morning, but nothing is odds-on in Long Island City. Denied last year, (in our view, unfortunately) by Rachel Alexandra, Zenyatta got home this time, but it wasn’t entirely plain sailing. She polled 128 votes, while Blame, the only horse ever to beat her, received 102, with the three-time Breeders Cup winner, Goldikova, picking up 5 votes. In his acceptance speech, an emotional owner Jerry Moss acknowledged the opposition. “I first want to say what a great honour it has been to have been associated with the other two finalists” reported Thoroughbred Daily News. “Blame ran incredible races, and is a wonderful racehorse. I can only congratulate Seth Hancock for the 100 years of service of his family farm (Claiborne). I can only hope for him to have the most success with Blame as a wonderful sire in the future. Also for the amazing Goldikova, what can we say?”. The Breeder’s trophy at the annual KZN Racing Awards was inaugurated ten years ago, and its recipient is determined by stakes earned in Sharks’ territory. It’s easy to be blasé about a provincial award when you’ve already won the National title, but there’s always something to be said for being acknowledged in your own backyard. Friday evening’s gala function at the historic Sir Herbert Baker-designed Durban Country Club, was attended by some big hitters from out of town, notably champion trainer Mike de Kock, Sean Tarry, Chris van Niekerk and Sheikh Mohammed’s personal representative, Jehan Malherbe. Getting over the line in a competition of this sort, often depends on the plans trainers make for the horses you’ve sold them, so achievement in the bigger scheme of the nation’s racing and breeding affairs, doesn’t necessarily guarantee you the top spot in any particular locality. Once the hammer falls at the auction, your horse’s fate is in the hands of the conditioner, and he will take you where he chooses, and where he sees the pickings. It’s also true that he might not take you anywhere in particular, as was the case with last season’s biggest earner, Pierre Jourdan, whose racing year ended with a well earned rest after his exertions in the SA Derby (Gr.1). As much as he might have muddied the waters of the Three Year Old Championship if he’d come for the KZN winter season, it wasn’t to be, nor was he going to contribute to Summerhill’s local earnings as a result. That said, Friday evening we were the proud recipients of our ninth KZN Breeder of the Year title in ten years, wresting the trophy back after a season’s “grace” from the Scott Bros’ Highdown Stud, a beautiful farm on the Fort Nottingham side of Nottingham Road. Perennially among the country’s top breeders for several decades, Highdown achieved its zenith during the Jungle Cove era, when they ranked second on more than one occasion to the mighty Birch Brothers. Their achievements in those days were the stuff of legend, notable for the fact that even after Graham Beck’s acquisition of five times champion sire, Jungle Cove, the Scotts continued to breed the best of that stallion’s progeny from the few shares they retained. This year, the local title was no forgone conclusion either, as these fellows came rattling back with a late flurry from their excellent galloper, Orbison, winner of the Champions’ Cup (Gr.1) at Clairwood, following a third placing in the Vodacom Durban July. We salute them as worthy competitors. 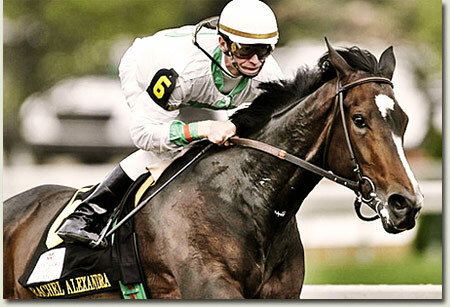 Neither Zenyatta nor Rachel Alexandra were defeated on the racetrack in 2009 but last night at the annual Eclipse Awards staged at the prestigious Beverly Wilshire Hotel in Beverly Hills, it was left to the ballot to deliver a decisive “Horse Of The Year” victory… 130 votes to 99… in favour of Rachel Alexandra over Zenyatta. With the news that Zenyatta will remain in training for 2010, could we expect her to avenge this defeat in a mammoth racetrack showdown between filly and mare? William S. Farish will be honoured with the Eclipse Award of Merit for a lifetime of outstanding achievement in Thoroughbred racing, reports the Thoroughbred Daily News. The Lane’s End Farm head will receive the award at the Eclipse Awards ceremony at the Beverly Wilshire Hotel in Beverly Hills, California, on January 18. William S. Farish is currently a steward and vice chairman of The Jockey Club, a director and former chair of the executive committee of the Breeders’ Cup, a member of the board of directors of the Keeneland Association, and a Keeneland trustee. The prominent owner/breeder was also chairman of the board of Churchill Downs from 1992-2001, as well as the U.S. Ambassador to the Court of Saint James between 2001-2004. Earlier this summer, the William Stamps Farish Fund donated $1 million to the Permanently Disabled Jockeys Fund. Farish, a member of the PDJF board, is currently working to help raise more than $10 million to provide a continuous fund for disabled riders. Born in Houston, Texas, Farish purchased his first Thoroughbred in 1963. He is a two-time recipient of the Eclipse Award as leading breeder and has raced no fewer than 150 stakes winners, including 1972 Preakness Stakes hero Bee Bee Bee.